One of the larger and more colorful species present was this spectacular male Red-spotted Cichlid Vieja bifasciata (which had been misnamed with an older name, Paratheraps bifasciatus). 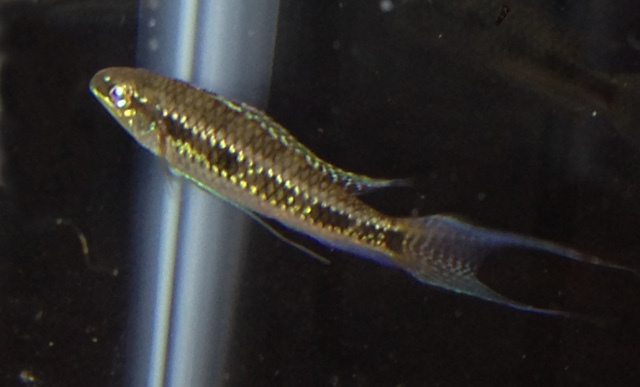 This is a fairly rare beast in the aquarium trade, perhaps in part because the juveniles, like so many cichlids, are not terribly colorful. It takes years of effort to grow a specimen as colorful as this, but, clearly, it is worth the wait. You’ll find this fish in certain river basins of Western Mexico and Guatemala. 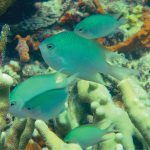 The scientific name has bounced around in recent years, as it has for quite a few New World cichlids, but a recent revision clarified its status as part of the genus Vieja. This small genus has eight species, the most common of which in the aquarium trade is V. melanurus, known as the Redhead Cichlid and often misnamed under the older name “synspilum”. This understated fish is part of a unique diversification of cichlids endemic to Madagascar which are thought to have diverged from their closest relatives in the family way back in the Cretaceous. At the moment, only a single species, P. polleni, is recognized, but there are subpopulations within the island that show differences in their patterns that suggests a greater diversity. 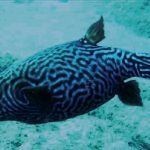 This particular fish, which is covered in large greenish spots, is known within the aquarium trade as P. bleekeri, but that name is somewhat dubious without further study. The more typical P. polleni, which has far smaller spots, was also at this competition. You’ll rarely find either fish for sale, but it’s definitely worth looking for. Here’s another species which I had never heard of, the Pantano Cichlid Cincelichthys pearsei (which had been misnamed under the older name Cichlasoma pearsei). This one comes from the southeast coast of Mexico and Northern Guatemala, where it can sometimes be found in brackish conditions. 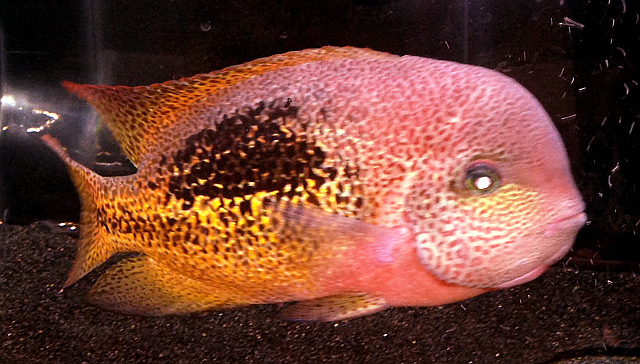 This is your basic big, ugly Central American cichlid, and you’ll be hard-pressed to find one anywhere other than a specialist breeder. This wasn’t the most beautiful belle at the ball, but it’s an interesting fish nonetheless. 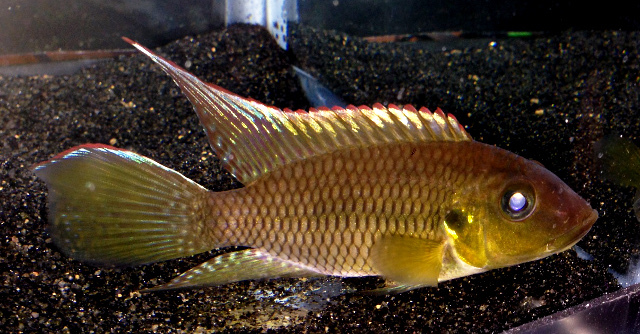 It’s one of just three species in the obscure genus Astatoreochromis, which make a living in the rivers and swamps near the famed rift lakes of Eastern Africa. Though its scientific name calls to mind the tilapia form this part of the world, its closest relatives are actually the haplochromine fishes, which aquarists know as the “African cichlids”. Unlike those fishes, A. allaudi is a specialized feeder on snails, crushing them within their especially bulky jaws. 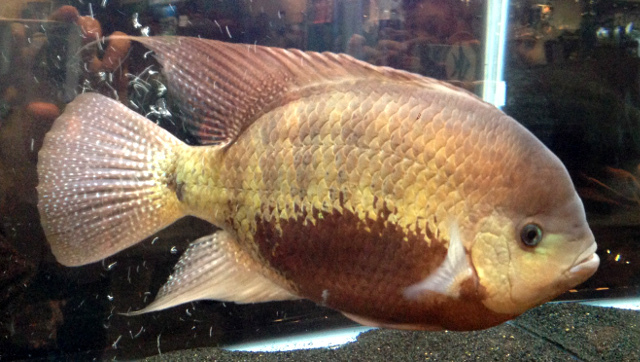 This unusual species belongs to the seldom seen genus Chromidotilapia, whose eleven taxa occur in the waters of Western Africa. They are benthic omnivores, feeding in a similar manner as the familiar “eartheaters” of South America. 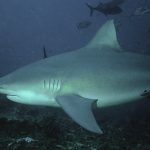 The two groups are not closely related, though, and haven’t shared a common ancestor since the splitting of Gondwana, more than 100 million years ago. For me, the winner of any cichlid competition will always be this incredible species. 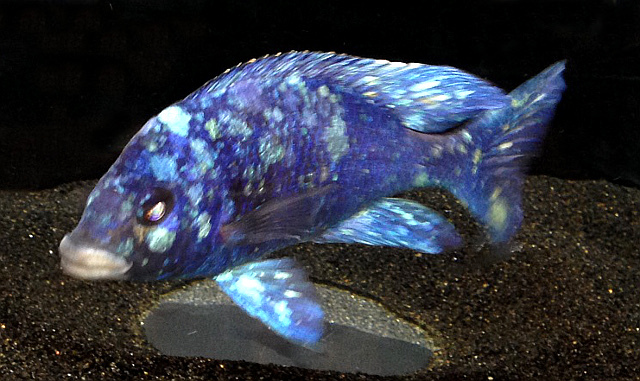 I think a strong case could be made that this undescribed species of African cichlid is on the short list for most beautiful fish in the world. My terrible phone photography does little justice to the breathtaking colors and subtle patterning this fish has in the flesh. 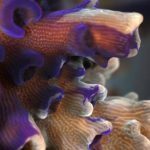 No two specimens are alike, as each has its own unique arrangement of light-colored scaled against the deep cobalt blue of the body. 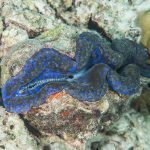 This is still a fairly uncommon find in the aquarium trade, but, even if you aren’t able to get your hands on one, the Shedd Aquarium in Chicago has one on display for your viewing pleasure. 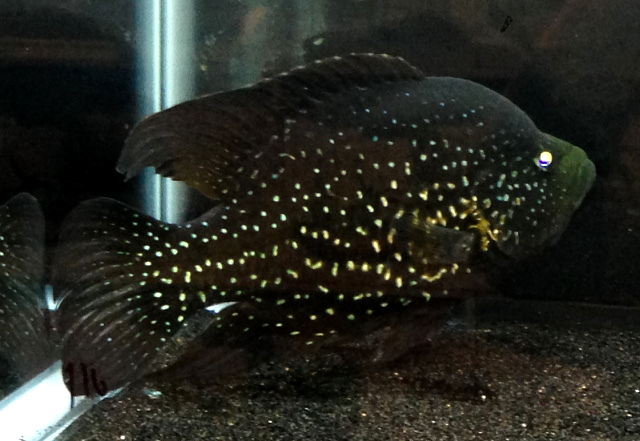 The grand prize winner at this year’s competition was this Checkerboard Cichlid Dicrossus filamentosus. I’m not sure what was so special about this particular fish, as it certainly wouldn’t have been my top pick. This is a lovely enough fish, don’t get me wrong, but these are at the same time quite common in the aquarium trade, and this individual doesn’t really show the distinctive checkerboard markings that give this fish its common name. Then again, what do I know about cichlids?